Dwight J. Stallard, 87, of Conneaut Lake and a resident of Wesbury United Methodist Community died there, Saturday, October 27, 2018. He was born June 24, 1931 in Meadville a son or Dwight Ewing and Helen Ditch Stallard. He married C. Lucille Childs March 24, 1951 and she survives. He was a 1950 graduate of Randolph High School. He worked at Channellock for 36 years retiring in 1994. 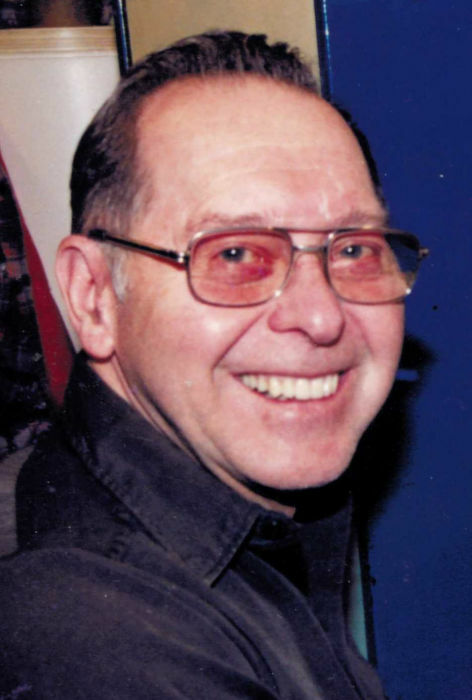 He was also the Lay Pastor at Park Bible Church in Conneaut Lake for eleven years and the United Church of Beaver Center for fifteen years. He previously had worked for Childs Garage, the former Meadville Malleable and Westinghouse. He was a member of Meadville Alliance Church and was very active at the church and in serving the Lord. He served on the Conneaut Lake Boro Council for 20 years and would drive veterans from the Meadville area to the Erie V.A. Hospital. Survivors, in addition to his wife Lucille of 67 years, include: a son, Richard D. Stallard (Gayle) of Cochranton; a daughter, Melody L. Gibbons (David) of Cochranton; four grandchildren, Ringo T. Fry (Samantha), Heather L. McMann (Jeff), Justin C. Gibbons (Lindsey) and Tricia N. Syler (Doug); eight great grandchildren, Zachary, Quinton and Joshua Syler, Julias and Alexis Fry, Riley Gibbons and Lillian and Audrina McMann; a sister, Sandra Stevenson (Ed) of Meadville and nieces and nephews. In addition to his parents, he was preceded in death by five brothers, Ewing, Gordon, Emory, Richard and Delmar Stallard and two infant children, Timmy and John Mark Stallard. Visitation will be Friday, November 2nd from 1-3 p.m. at the Meadville Alliance Church, 660 N. Main Street, Meadville. The memorial service will follow at 3 p.m. with Rev. Jeff Conley, Pastor, officiating.